A graduate of California State University Northridge with a BA in Religious Studies, Seth Ettinger’s love of music and commitment to serve the Jewish community are long-standing. Seth is a writer and developer of creative enrichment programs in Music and Dramatic Education and is the founder of “Project W.E.W.” which brings Jewish music to youth in and out of the synagogue communities. 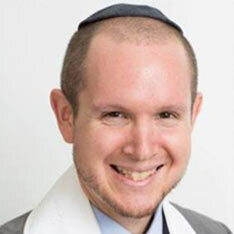 Upon ordination, Chazzan Ettinger will serve as the Chazzan Sheini for Wilshire Boulevard Temple in Los Angeles.